Long, long ago, there was the search for the greatest mattress. We searched high and low for the perfect night’s sleep, bouncing on bed after bed. Eventually, we found that mattress. But now… there is a new quest. Finding the perfect mattress topper. As dramatic as I made that sound (you don’t have to tell me I should have been a playwright, I already know), finding your perfect mattress topper is well worth the time. It can really improve your sleep, without the expense of shelling out for a new mattress. Even though it’s recommended we change our mattress every five to ten years, that just isn’t a reality for most of us. In this article, I’m going to explain why mattress toppers are so great and I’ve put together a list of the best mattress toppers on the market, as well as links to where you can buy them online. Grab your armour and let’s go questing for your perfect mattress topper! Oh! And to find out more and order yours just click on the name in the list below. Panda Life Hydro Foam Topper – Memory Foam – Best For Cooling, Comfort, Back Pain – Dozy Owl’s Top Choice! 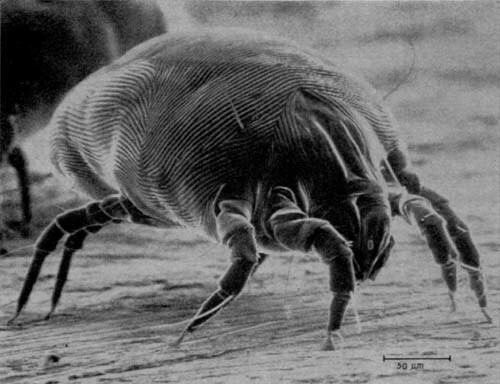 Firstly, a mattress topper can help prevent dust mites from making a home in your mattress. There are specific types of mattress topper you can buy that are made of dust mite-resistant material. Even if you don’t have an allergy, this is a great benefit. Secondly, mattress toppers prevent damp from settling into your mattress. If you are prone to night sweats or your home gets quite damp generally, then this can create mould or mildew inside your mattress. Once this happens, it’s extremely difficult to get rid of. A mattress topper stops this process before it starts, preventing moisture from reaching your mattress at all. Much cleaner! 2. They help keep you cool. We’ve all been there – tossing and turning, pyjamas clinging to your sweaty back as you desperately try to get off to sleep. Overheating can make it impossible to sleep deeply and if it continues for a long time, can lead to bigger health issues related to a lack of sleep. There are lots of mattress toppers available that have been designed to control your temperature and can even retain heat when you need them to, without making you sweat. 3. They can reduce back pain. 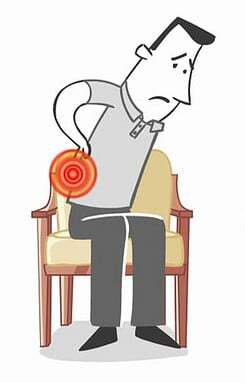 I’ve said it countless times that back pain is one of the worst things in the world. It makes it impossible to get comfortable and drift off. A mattress topper – specifically a memory foam or latex one, which I’ll get into later – is perfect for helping reduce back pain. These types of topper allow you to settle into a natural position but keep the pressure off your back at the same time. They vary in thickness too, so you can get the perfect one for you. If back pain is the big thing stopping you from sleeping, then I would always recommend going to see your doctor about it. I can’t advise you on what might be causing it and the best option is always to see an expert. 4. They stop your mattress from sagging. Have you ever stayed in a hotel or at someone else’s house, rolled over, and felt as if you were falling down a hill? This is what happens when your mattress sags. Some will sag faster than others depending on the quality and material of the mattress. Being overweight or tossing a lot at night can sometimes hasten it. As with most things, it is better to prevent a problem before it gets too bad to fix! It’s best to get yourself a mattress topper to prevent your mattress from resembling a hammock before it is too late. 5. They’re easy to clean. A mattress that’s in need of a wash is a nightmare. An absolute nightmare. Most mattress-cleaning recipes need a lot of scrubbing, vacuuming, crossed fingers, elbow grease and good luck. Now look at a mattress topper: spinning round in the washing machine while you sit with a cuppa. This is kind of a no-brainer. A mattress topper is much easier to clean than a mattress and can keep your mattress fresh for longer, depending on the type of topper you go for. 6. They reduce noise and movement. Having your own side of the bed is pointless if the person you’re sharing with shakes the whole thing when they roll over. This can be a real pain and can lead to a lot of sleepless nights! There are lots of toppers available, particularly those made of memory foam, that can reduce the noise and movements you make as you sleep – great for when you’re at the end of your tether! 7. They are incredibly comfy! This is the most obvious benefit and the nicest one! Regardless of whether the other benefits on this list apply to you, a mattress topper will always make your bed more comfortable. Now that you know how great mattress toppers are, here are the seven best mattress toppers. With each one you’ll find a short review and a link to where you can buy it online. If you have any questions, feel free to leave them in the comment box at the bottom of this post and I’ll be able to get back to you. This is my favourite mattress topper on the list. It’s what I have on my own bed! 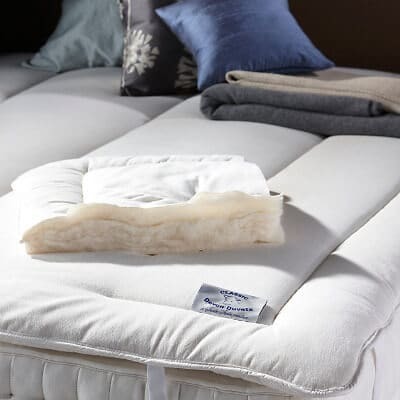 This topper is made with memory foam, which makes it really comfortable and provides a lot of support. One of the downsides about memory foam is that it can cause overheating but this mattress topper is different. Panda have created a Hydro Foam layer – memory foam mixed with a cooling gel – which will ensure you get a sweat-free sleep. This topper also has a bamboo cover. It’s breathable and soft, with the added plus of being made from a sustainable source. On top of all of that, this topper comes with a 10-year guarantee. 10 years! What could be bad about a decade of excellent sleep? Similarly to the Panda topper, this is a memory foam mattress topper that’s designed to stop you from overheating. It’s also very comfy and provides support for your back and joints. While it doesn’t have straps to hold it in place on the mattress, it does have a layer of anti-slip material on it to stop the topper from slipping off the bed. Once you have your sheet on you should be alright but making your bed around this mattress topper can be a bit of a pain. The Eve topper also comes with a 30-day trial, so you can properly test it out before committing to it. If you don’t like it, you can return it for a full refund. It also comes with a three-year guarantee but with the quality of it, this topper should last you much longer than that. This topper feels very luxurious – 6cm deep and covered in a 100% cotton cover. 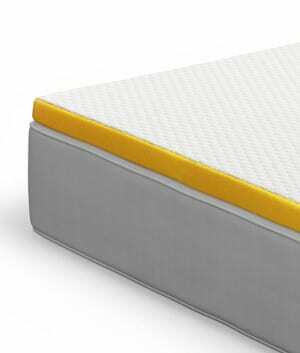 The box stitch lining keeps all the filling in place, ensuring an excellent sleep. It’s really comfortable but it is on the softer side, which means there isn’t a lot of support. If you suffer from back or joint pain, this might not be the one for you. Another good thing about this topper is that it’s machine washable – easy. It can be unzipped to create two pieces, which means you can have one in the wash and one on your bed. You never have to be without it! It can also be tumble dried on a low heat, so you can get it back on the bed ASAP. The only bad thing is that John Lewis tend to sell out of this topper quite regularly, so it can be difficult to get. This says a lot for the quality of it but does mean you might need to be patient! Natural latex is a brilliant material for sleeping on, since it has so many benefits. It helps relieve back and joint pain; it’s naturally microbial; and it’s dust-mite resistant. This topper is 8cm thick, which is perfect for disguising any imperfections in your mattress. It will have a bit of resistance until you settle into a comfy position but then it will get softer. Once you wake up, the topper will bounce back into shape. Yanis’ topper is also a great option if you share a bed with someone who tosses around a lot while they sleep. With this on your bed, you won’t even know they’re there! The only downside to this one, really, is that it doesn’t fix to the mattress. Although it’s quite heavy, so it shouldn’t move around too much. 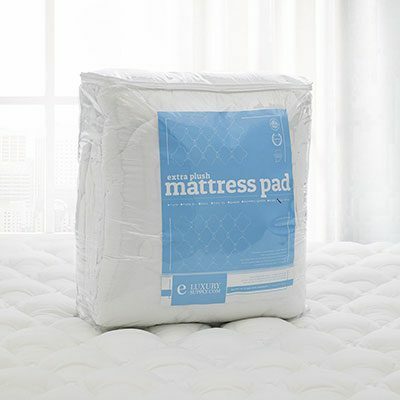 This natural mattress topper is quite a bit thinner than the others on this list – 1.5 inches. However, this can firm up whatever mattress you pop it on, which would be brilliant for aching joints. And firm doesn’t mean uncomfortable! What I love in particular about this one, though, is that it’s completely sustainable and humane. These toppers are made in Devon (as the name suggests) and when the sheep are sheared for the wool, they’re sent straight back out into the fields. Wool is a great material for a mattress topper, since it’s naturally hypoallergenic. It’s also breathable but will keep you nice and cosy. Another great plus: this topper doesn’t need to go in the washing machine. Just air it out once or twice a year and it’ll be grand. You’ll get a five-year guarantee when you go for this topper too, so you know that you’re getting a great product. Merino know that pure wool makes for a great mattress topper: it helps to keep you dry at night as it wicks away moisture and is dust mite-resistant. Two in one! 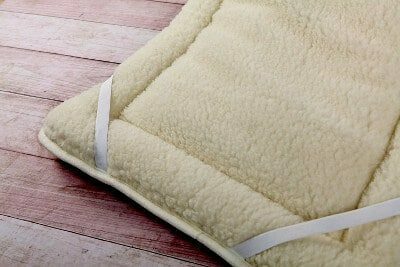 It’s also a great material because it will keep you warm during the colder months as it retains heat but helps to keep you cool in summer, so there’s no need to change your bed around. This wool topper is also reversible. One side is corded, which makes it better for drawing away body heat and is very soft. The other side is fluffy, which feels more luxurious and also keeps you a lot cosier at night. The disadvantage to a topper like this is that it’s big and heavy. It also doesn’t wash very easily, which is something to consider. However, if you’re prone to conditions like arthritis, the moisture-wicking capabilities of this topper would make it a great choice for you. The Revoloft is in this is pretty cool, it’s a synthetic feeling that’s made to have the same plump feeling you get from feather and down. And it’s individually sewn pockets of filling so you get a really plump feel. And it has a fitted skirt around it so it fits on to the bed like a fitted sheet would. It’s a pain when your mattress topper slides down and you’re having to heave it up again everytime you change the sheets, but not with this topper! The only downside is the filling is very soft so if you have a very firm mattress you’re trying to soften you won’t have much luck with this topper but if you’re looking for a nice soft topper that adds a more subtle layer of comfort then this is the one for you. 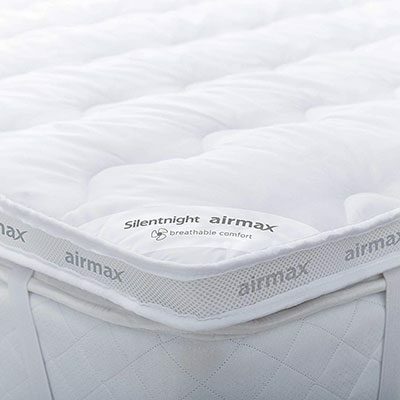 The Silentnight Airmax cooling mattress pad is absolutely tried and tested. It’s a great price, easy care, no fuss topper. Nice and breathable thanks to the air mesh sides so you get kept at a comfortable temperature all year round. And it has corner straps to keep it in place so it won’t just disappear from under you while you sleep. Nothing worse than having your topper walk down the mattress then your pillows sliding off the top. 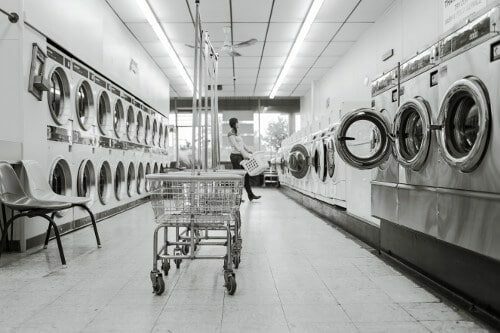 It’s machine washable so you can keep it clean and is available in single, double and king size. A nice alternative to a memory foam topper. Can I use an electric blanket with my mattress topper? Generally no, especially if you’ve got a memory foam mattress topper. But what you can do is get an electric throw which goes ontop of the bed to keep you warm. How thick should my mattress topper be? Three to six inches is usually enough. With materials other than memory foam, you may need a thicker topper than that but it just comes down to your preference. Will a cooling mattress topper make me feel cold at night? These toppers redistribute your body heat to stop you overheating. If you’re cold, you’ll still warm up when you get into bed. Can a mattress topper make a soft bed firmer? It depends on the material they’re made from. Some of these toppers are made from horse hair and stay firm when you lie on them, which’ll fix a bed that’s too soft. I’m a bit stuck, I don’t know which mattress topper I should get. What should I do? Never fear! The Dozy Owl is here! If you still have some questions or want some more advice that’s specific to you, leave a comment in the box below. I’ll be able to get back to you about what mattress topper would be your perfect fit. Hi. Love your clear reviews. I have cancer metastasis in my spine and hips which are painful when I am lying down. I also get quite hot at night with hot flushes. Our king size mattress is great, it has firm support but is also quite soft. It is quite deep so I am not sure how the fitted sheet will tuck in if we had a thick topper. Is there a mattress topper you would recommend? Many thanks. Hi Alison! I’m sorry to hear that, it sounds very painful! Hmmm that’s a tough one, I think to get the support you need you’d be better going with memory foam, but it won’t help with the hot flushes. I’d give the Panda topper a try and go for layers of a thinner duvet with blankets so you can throw them off if you get hot. As for the sheets you might need to stretch them or you can get deep fit sheets from John Lewis that will fit. Hi, we have a very firm mattress, my partner likes firm and I prefer softer but thought I would get used to it over time…I haven’t. Since we got the mattress a few years back I have developed pains in my lower back and ache when I wake up, I really don’t look forward to bed time 😕. Please could you recommend a good matress topper (hypoallergenic please) that can soften up my side of the bed? We were thinking of just having a single topper on my half of our king size bed. 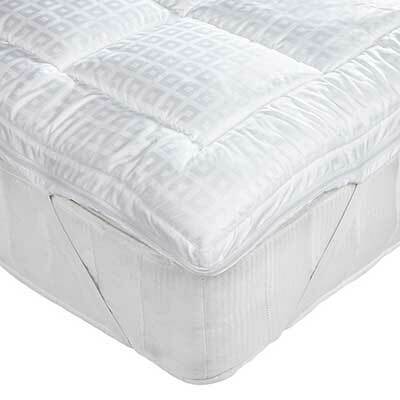 Great idea, a single topper can work great on a king mattress to soften up one side! I’d try out the Panda Topper if I were you, nice and soft memory foam with plenty of support for your back. – terrible for me and baby! I have a medium firm mattress, and have tried the Eve mattress topper on top, but sadly it’s just not soft enough. However, overheating is another pregnancy problem! I need to try another mattress topper, but don’t want to waste more money. Any advice welcome. Thanks for your great website and info. I’m a side sleeper and get hot in the night which mattress topper would you recommend please? I would recommend the Panda Topper if yuor a side sleeper and feeling hot. Our mattress is too soft and uncomfortable for our back. Sometimes we feel like we are sinking in our own bed! We are looking for a topper that will make it firm and better for for our back. I’d go for the Yanis Latex topper if you’re looking to keep it firm. Yes of course! I’d recommend the Panda Life Mattress Topper, it’s not the easiest to store but is really comfortable, and you can roll it up and stuff it into two bin bags one for the top and one for the bottom and get it in the cupboard, that’s what I did when I moved with mine. Just click here and you’ll be taken straight to it. If we bought the Panda Mattress topper, would we be able to use an electric under sheet between the topper and our mattress? The undersheet has quite pronounced cabling running through and makes sleeping directly on it (if it was placed below the sheets) quite uncomfortable. Afraid not, the heat from the electric blanket underneath the topper would ruin the effect and comfort of it because memory foam changes shape with heat. Thanks for compiling this helpful article. I’m looking for the best option for dealing with a moving partner. I can see you mention the Yanis- Latex is good for that and that memory foam are also a good option (Bamboo and Eve). The memory foam ones are cheaper. Would you say it’s worth forking out for the Yanis because the difference in motion transfer is so much better, or are the cheaper memory foam options just as good in terms of reducing motion transfer? I recently bought a fairly expensive mattress. I went for the medium firmness as I couldn’t feel much difference with the firm option in the shop. However, after a couple of months, I feel it is softer than what I was expecting and sagging a bit in the middle. I am a side sleeper and suffer from osteoarthritis and get up with some pain in the mornings. What type of topper (material, firmness, etc.) would you recommend? Thank you. I would definitely go and talk to your doctor first if you suffer a medical condition. They’ll be able to give you a good idea of what you might need. But I think either latex or memory foam will firm up your sagging bed nicely while still giving you lots of support, so either the Yanis latex topper or the Panda topper could be a good call. Hi. My husband suffers from bad back pain and wants to get a matress topper which will firm up our current matress and provide him pain relief for his back ache. He gets very hot at night so I have been told to avoid memory foam. What matress topper would you recommend please? Either Panda topper which has cooling properties despite being memory foam or the Yanis latex topper would be just fine. Thanks to your recommendations I have ordered the Eve mattress topper and after 5 days I returned it..
it was way too firm and got me very hot during the night. I ordered the Panda mattress topper 2 weeks ago for a trial (they both ofer 30 days) and I’m in love with it! It has great support (not too firm but still very supportive) and the bamboo material is amazing! I feel like my topper is literally breathing throughout the night. Anyway, both are good, I got connected more with the Panda topper as it’s more breathable and I feel like the actual memory foam is better quality than Eve. Thanks for the recommendations and reviews, you can get lost with all the verity these days. Thanks very much for the comment tom! Sorry you didn’t get on well with the Eve topper but super pleased you loved the Panda topper! Can you please suggest me which is this better from merino reversible mattress topper and latex plus natural mattress topper…Can you please suggest me as my priority is back pain.. I would go with the Latex Plus if your priority is back pain! The a href =”https://mypandalife.com/product/the-topper/?wpam_id=4″ rel = “nofollow”>Panda Life Hydro Foam Topper has special cooling layers which help stop you getting too hot so I’d happily recommend that even if you are a hot sleeper. Otherwise, John Lewis’s Soft Touch Mattress Topperis excellent for softening up and giving a comfort upgrade. Hope that helps! That’s such a shame! It sounds like the Eve topper could be the right choice for you, that’ll definitely help out against any sag in the mattress. Good luck! I need to soften my medium support mattress as I sleep on my side and suffer from shoulder pain, however I overheat at night, so I need something soft, but cooling…what would you recommend? 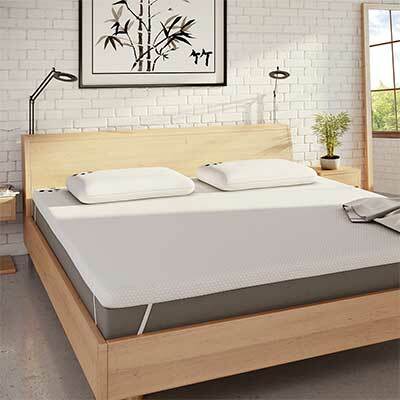 Softening a medium mattress is a bit tricky, but I’d say a great choice would be either the Bamboo Mattress Pad for cooling and a little softness, or the John Lewis Soft Touch Topper for more softness but not much cooling compared to your normal mattress. Hey, I am a student and renting for the next few years. This means I am stuck with whatever mattress the landlord provides. I have had the Seafoam mattress topper last year, it was alright but it got quite warm leaving me waking up sweating half the time I used it. I am torn between the Panda Memory Foam Mattress Topper (£125) and the Eve Memory Foam Mattress topper (£180). If you were to give them both a rating out of 10, What would you give them? How do the two compare? Is the Eve topper really worth the extra £55? Hi Faisal, Always a tense moment wondering what sort of mattress you’re landlord going to leave you. Good idea buying a mattress topper for that comfort upgrade! That doesn’t mean the Eve topper isn’t worth it for anyone else reading this. If you have any issues with your back and are looking for the best topper for back pain then the eve mattress topper is the way to go. It’ll give you the best support along your spine. Thanks for the comment Faisal I’ll make this all a bit more clear in the body of the content! Let me know how you get on with whichever one you decide on. We recently got a new firm luxury mattress with natural filling. Now find it bit too firm and are looking for something soft. I overheat so cannot go for Memory foam. Can you suggest something that is comfortable, soft and same time support back. Hi Abdul thanks for commenting! It’s always hard to find the balance, you want enough firmness to support your back but soft enough to be comfortable. Now if you don’t want memory foam but want to keep that back supoprt then best go for a thinner topper, maybe 2-4cm deep. That’ll soften up the top but still give you all the support from the firm mattress underneath, so I’d go for either the “Extra Plush Quilted Bamboo Mattress Topper Mattress Pad” or the “Devon Duvets British Wool Mattress Topper”. Hope that helps! Hi Maureen thanks for commenting! I’d have a talk with your doctor and see if they have any medical recommendations for you first. But in my opinion, you’d be best getting a memory foam topper so the Eve mattress topper I recommend above would be ideal. Memory foam helps take pressure off your joints by giving you more support where you need it so it should help ease the pain somewhat if you find your mattress is too firm. We have bought medium mattress, but my husband cannot sleep on it – he needs a softer mattress. Can we buy a mattress topper for just one side ? You could try a single mattress topper but it’s a little tricky to fit on the bed because it will slide about more than usual compared to a double topper for a double bed. If you have a tightly fitted sheet it should be ok but you also get the edge running down the middle of the bed so that’s something else to bear in mind. Basically, you can get a single sized one and lay it on half the bed but it might move around. Hi Jean, If you mean you own a memory foam mattress but are overheating then I definitely recommend the Extra Plush Quilted Bamboo Mattress Topper. It’s got great climate control and works great on top of a memory foam mattress. So it’ll still ease your joints but keep you cool all night long.